Fully remodeled, this spacious 3BR/2.5 bath West Ellicott home is simply stunning. With plenty of privacy & no rear neighbors, it features a lovely front porch, master w/attached bath, crown molding & hardwood throughout most of the home, as well as a 1st floor laundry and heated garages. 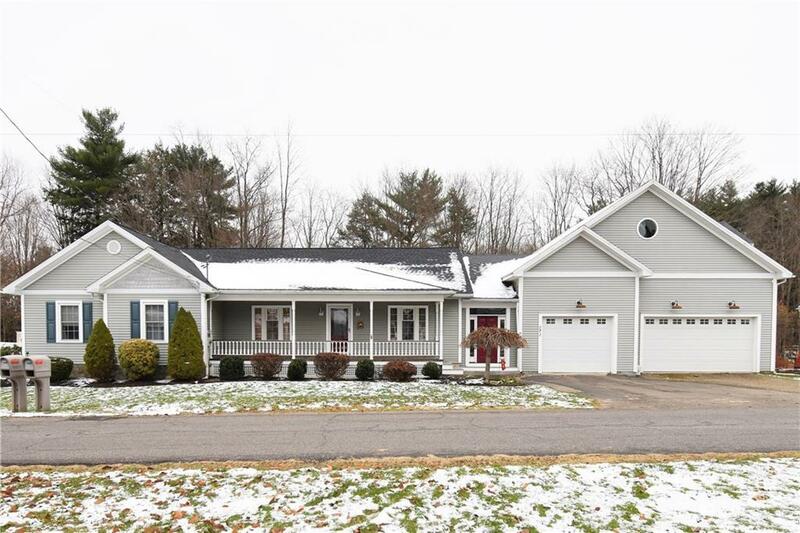 The star of the home is the impressive family room with incredible built-ins, 4 huge closets, warm hardwood, a fireplace surrounded by window seats and a balcony w/beautiful views of adjoining woods & creek. The kitchen is a home-cook's dream, featuring hickory cabinets and Corian counter tops, pot-filler over the gas stove, a large island & breakfast bar. This comfortable & inviting home is move-in ready & waiting to be your forever home. Call today for your private viewing! Directions To Property: Avalon Blvd. Between Is Between Hunt Rd. And Fairmount.